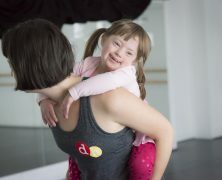 Whatever your dance background, our inclusive approach and super talented instructors will provide you with a leg-up to loving the way you move.
. Ages 2 to adults . From children’s to adult classes – across a range of styles – we provide the chance to bring out the inner performer in you! You’ll love us at Dance Habit because we’re professional about everything we do – and your journey with us continues well beyond the cool down. We’re not about the razzle dazzle, the sequins or the high kicks (although there are definitely some of those things along the way!). Our supportive and welcoming studio encourages students of all ages and backgrounds to love the way they move through safe and progressional dance practice. Mums and dads will also be pleased to learn that we insist on age-appropriate costuming, music and choreography.